A new coat of paint can revitalize the look of a home’s exterior — that is, when the painters put the time and effort into their work to do it right. Unfortunately, there are many subpar home painting contractors out there who overpromise and underdeliver on quality. Identifying these businesses can be tricky, but there are some important questions to ask exterior house painters when you’re comparing your options that will help. This coverage ensures that if a painting company does damage to your property they will pay for the repair costs. Even the most skilled painters are not immune to making mistakes, so it’s in your best interest to protect your wallet from unforeseen events. You might think this type of insurance only protects a company’s workers, but it’s also helpful for homeowners. If an employee suffers an injury on your property, workmen’s compensation ensures that you are not liable for it. Some companies attempt to mislead customers into thinking their business has insurance coverage when their policies have actually expired. You have a right to bring up insurance policies not only with company employees, but also with the insurance companies themselves. If you’re unsure about a company’s coverage, call the provider to see if their policy is active. What experience does your team have? It’s important to be sure that the people visiting your home are trustworthy and capable employees. In the painting industry, a few bad workers spoil the reputation of the teams that respect a homeowner’s privacy, property and time. Even if a painter hasn’t spent decades working for the same company, the business should do everything they can to ensure that person is experienced and responsible. You can dig deeper into a company’s hiring policy by asking specific questions about how it conducts background checks. Ask about the minimum qualifications each painter must have to work for the company and how the business ensures the information is accurate. It’s also worth digging into the criminal background check process, because some businesses are more thorough with this task than others. When you’re relying on professionals to paint your home, you should expect the very best products and processes to get the job done. Extensive prep work is what sets high-quality work apart from an average or poor exterior paint job. Before a paint roller even touches your home, your painters should have high-quality tools and products on-site. There is a big difference between budget paints and primers and those formulated to apply evenly and last years. 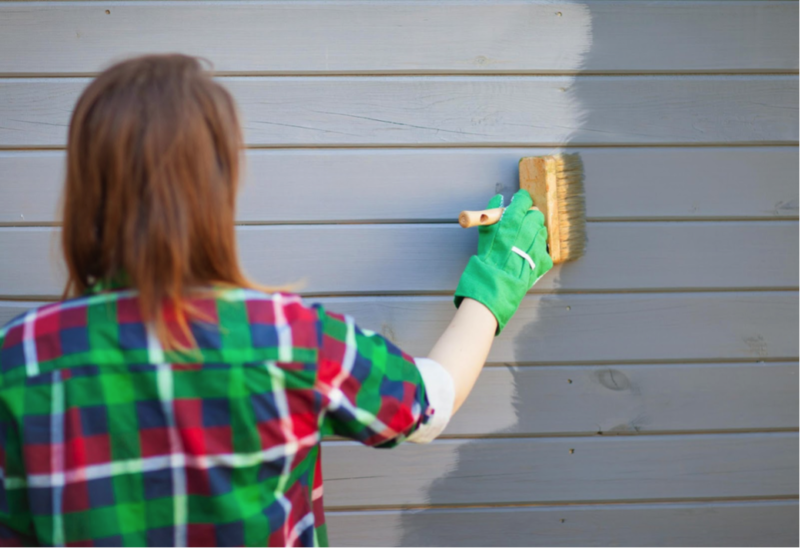 Every project is different, so a painting company should spend some time looking over a home’s exterior to determine whether old paint must be removed before starting a project. Additionally, the painters should provide a hot water wash to ensure that a home’s siding is clean — this step extends the life of the paint coating. The final step before applying paint, and possibly the most important, is to use primer on the entire surface. Primer helps the paint adhere to the surface and improves the coating’s durability. Of course, even the best products and preparation are for nothing if the team doesn’t have an eye for detail, so look for painters who make it a priority. You might get specific answers on the tools a company uses and how they prepare, but it takes proof to determine whether painters are detail-oriented. Look up online reviews and pictures of past projects to get a feel for the quality of a company’s work. Our team takes pride in its experience and high-quality workmanship on every project. If you have any questions about what goes into our home exterior paint projects, don’t hesitate to ask! Our goal is to bring out the full potential of your home’s exterior, and working closely with homeowners themselves is an important part of that process. Contact us today to see how we can make your home look its best!